Before summer hits the UAE again, now is the ideal time to head outdoors and enjoy the pristine Dubai coastline. Whether you're looking to simply lounge on a sunbed at your favourite beachside spot, sipping on a cocktail while taking in the gorgeous views, or if you'd like to gather friends and family for a barbecue, there couldn't be a better season to enjoy a seaside feast. If you think the perfect excuse to make the most of the weather is yet to come your way, you'll be glad to know, Waldorf Astoria Dubai Palm Jumeirah is bringing the ultimate beachside barbecue experience to you, all through this season. 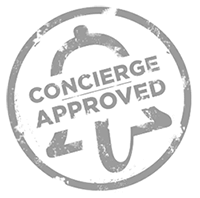 And when you book your spot as a myconcierge member, you also enjoy a special discount. Hosted at Palm Avenue every Sunday and Wednesday – the poolside oasis nestled in the heart of Waldorf Astoria Dubai Palm Jumeirah – Barbecue Nights at this cosy spot see you taking in the chic yet relaxed atmosphere. And with views of the Arabian Gulf, you'll find yourself transported to the Med! Pleasant aromas of meats grilling away on the rotisserie fill the air, prepping your taste buds for all the indulgence that lies ahead. Foodies will be delighted to know that a specially crafted menu has been planned for the evening – think everything from delectable appetisers, grilled meats with sumptuous sides and a vast array of desserts, sure to leave you spoilt for choice. The grilled dishes are served sharing-style from the rotisserie and charcoaled barbecue for everyone around the table to enjoy, making this experience ideal for large groups of friends and the whole family. If you're looking to make the most of everything Palm Avenue has to offer, the restaurant also features an extensive spread of breakfast staples from 10am onwards with the likes of homemade granola, ricotta pancakes and eggs Benedict. Throughout the day, you will also be able to enjoy fresh, light and healthy fare, great for those keeping the calories in check.